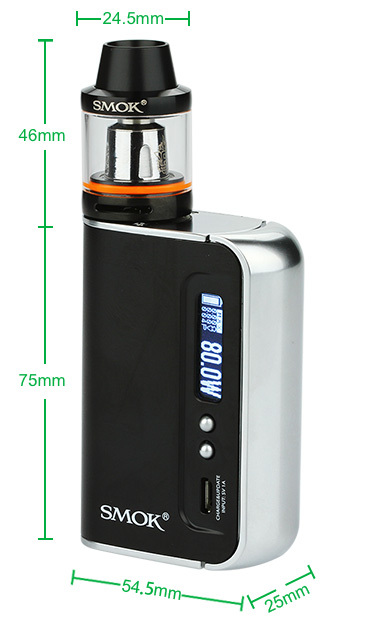 SMOK OSUB 80W TC Plus Starter Kit, includes OSUS Plus 80W TC MOD and Brit Beast Sub Tank. With the integrated streamline design, comfortable big lateral fire key, and build-in 3300mAh battery that provides strong power, you can enjoy cool vaping storm with surprise. 5 colors for your selection. Good choice for a starter kit.